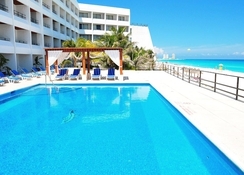 Flamingo Cancun Resort is a modern yet simple boutique hotel offering everything you need for a relaxing holiday in Cancun. Located in the heart of the Hotel Zone with its abundance of bars & restaurants, not to mention its beachfront location overlooking the Caribbean Sea, this luxury hotel is the perfect choice for families, couples and groups of friends looking for value for money in stunning Mexico. 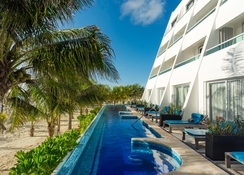 Guests can choose between 249 4-star rooms and suites across Flamingo Cancun Resort, each providing exceptional amenities, plus views of blue lagoons or the Caribbean Sea. 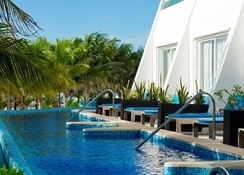 You'll never be bored during your stay at Flamingo Cancun Resort, with two swimming pools and a jacuzzi, a fitness centre, watersports activities, a kids' club, evening shows and more lined up for holidaymakers to enjoy. In addition, the hotel's dining scene offers a variety of different atmospheres, flavours and cuisines from swimming pool snacks to gorgeous seafood served up with a Flamenco Show! 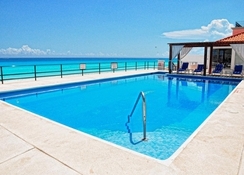 Hotel Flamingo Cancun is located in the heart of Cancun's Hotel Zone, 20 minutes from Cancun International Airport, 21km. The beachfront venue is great if you want an all inclusive retreat that offers sand, sea, swimming pools plus a side of entertainment in the nearby resorts. 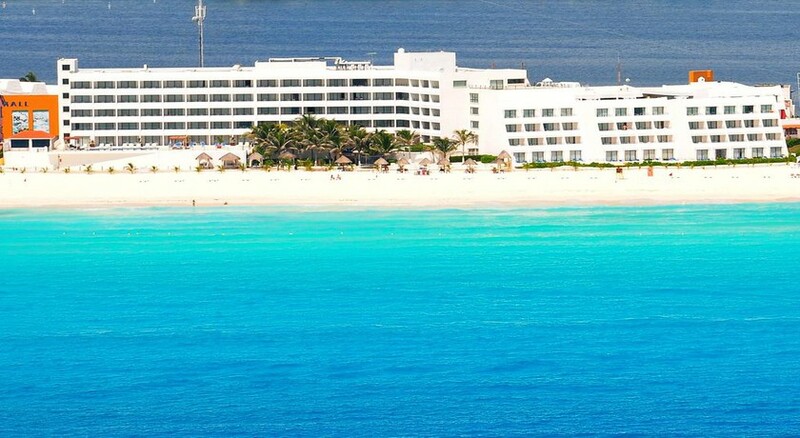 The family-run Hotel Flamingo Cancun has 249 4-star rooms, ranging from simple Standard Rooms to luxurious Junior Suites facing the sea. 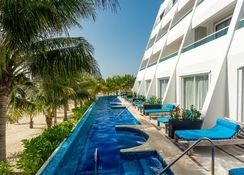 Guests can choose between Standard Rooms, Ocean View Standard Rooms, Deluxe Lagoon View Rooms, Deluxe Ocean View Rooms, Family Rooms, Swim-Up Jr. Suites and Swim-Up Rooms. All rooms at the hotel provide amenities like TV, telephone, Free WiFi, in-room safe, wake-up service and more. Here at the Flamingo Cancun Resort, there are two main restaurants to choose from. La Fuente Restaurant is the hotel's main buffet venue and is open for breakfast between 7am – 11:30am, lunch between 12:30pm – 5pm and International themed dinners between 6pm – 11pm. Albatros Restaurant is a beachfront a la carte restaurant serving International cuisine and is open for breakfast, lunch and dinner. There is also a lobby bar, a pool bar and a delicious pizza bar on offer for daytime snacking. 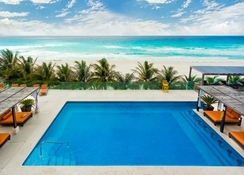 The hotel offers a host of leisure and sporting facilities including two swimming pools and a separate children's pool - and while the kids are splashing, adults can lounge by the pool while ordering cocktails from the swim-up bar. Shed those extra calories at the fully equipped fitness centre. The hotel has a kids' club to engage kids with numerous activities and games throughout the day – including a variety of non-motorised watersports such as kayaking, snorkelling, boogie boarding, cycling, volleyball, canoeing and much more.